Can you believe it's already December - Christmas is just around the corner. This week I managed to decorate my little pink Christmas tree, put lights around the balcony and fill my apartment with snowmen as well as all my favorite holiday scents. My weekend is going to be filled with holiday baking and crafts. What are you up to this weekend? 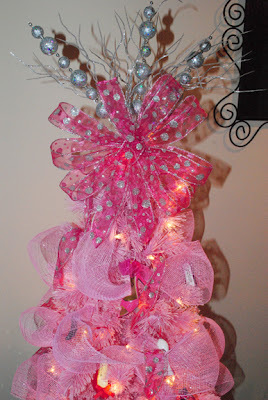 Your tree is so cute along with all your girly girl decorations. Hahaha your bike storage is perfect. Why not?! Fun! I love all your decor, it is so unique and pink is my favorite! 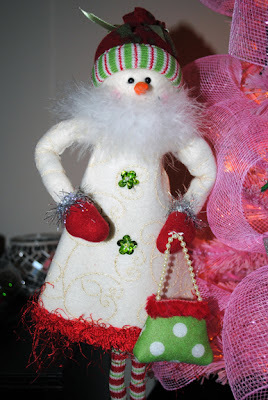 love all of your girly decorations! I love all of your decor! I am a snowman junkie, too! Love that soap, too. Happy Friday! I did love that wreath you posted earlier. What a cute bike! I have not done anything! II am starting from scratch! I am going to start tonight by finding a tree! Haha! I love the bike in the shower! And it's such a cute bike too. =) And that hand soap sounds awesome and looks so adorable. Love the pink shoe tree! And you bike is pink!!! Love it, great storage place! Hooray for the holiday season! I've got some major shopping on my agenda this weekend. Lol, I love the new storage space for you bike, too funny! 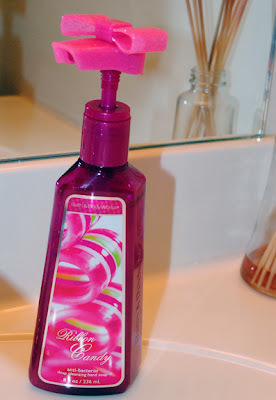 The candy ribbon hand soap is really cute! Oh my goodness, I love that wreath! I'm loving all of your decorations--they're so festive! Hope you have a wonderful weekend! Yay!!!! Love the pink tree :)Annndd the Ribbon Candy handsoap! I have the pocket bac! I LOVE your bike. I've been wanting one like that for a while now! haha love your new storage unit! So pretty. I love all of the touches of pink. The wreath is totally adorable. I love your very pink Christmas decor! Awwww a pink Christmas tree! Fantastic idea! 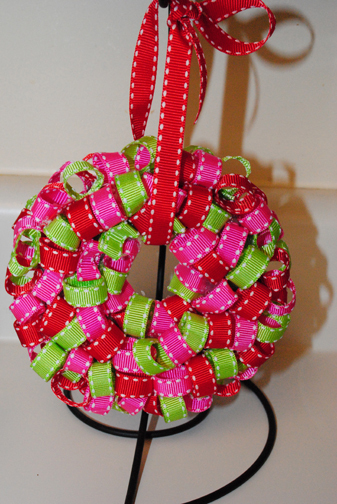 I love all the pink and red ribbons and peppermints! I absolutely love the little pink tree. So cute! I love how the bike is hanging in the spare shower. Hey, if you're not using it for anything else, why not? :) Ooooh I love the peppermint theme. That is so me! Cute tree and nice bike. Thanks for coming by. You have the coolest pink things; even a bike!! Thanks for stopping by my blog & your sweet comments & becoming a follower! I now follow you also. Very cute tree. And extra bathtubs are great storage spaces. I use mine for my drying rack. Thanks for following me! I am following you back! Yes, Christmas will be here before we blink.Love the ribbon theme! How fun it will be. Your tree is so pretty! I love the ribbon wreath idea! That is just darling! I think I am gonna make that!! love all your pink stuff!! Oh fun! Love all the pink for Christmas!! We are kindred spirits in pink! So glad you found my blog, so I could find your blog! I love your spirited, bright blog. Happy new follower here too. Now I must go explore your posts while I giggle about your pink bike and it's new home.